Come out for a fun evening with stories about Alaskan wildlife with Buck Wilde. Buck has spent many years documenting wolf and grizzly bear encounters in Alaska. He has filmed for BBC and the Discovery Channel. Buck is going to tells stories about documenting a pack of wolves. He will also show short film outtakes and amazing nature photos. This event takes place at three different breweries around town. Wicked Barley on April 2, Atlantic Beach Brewing Company on April 3, and Aardwolf on April 4. If you love brownies, you will love this event at Intuition Ale Works. It’s a Brownie Bake-off on Wednesday, April 3rd. Tickets for adults are 10 dollars. You get 13 mini-brownies, a scoring sheet and $1 off craft beer. Get ready to munch away and help choose the winner at Intuition Aleworks on Wednesday, April 3. In St. Augustine you can party and run like it’s 1985! Dress up in your best 80s garb for the Awesome Ancient City 5K. Actually, they also have a 2.5K and a fun walk. They will also have 80's Music at the brewery and a Rubik's Cube Contest. That at Ancient City Brewing Company in St. Augustine on April 6. Veterans United Brewing Company is hosting a Living History event. Come out and meet Carl Finney who has an impressive 31 years of Special Operations experience within SOF and SEAL Teams. He will cover life post-high school, training, early years in the SEALs, fighting in combat, sea stories, and even answer questions -- all while you get to kick back and sip some delicious beer! This event takes place at Veterans United on Saturday, April 6 starting at 2 p.m.
We also have a big event on Sunday, April 7 because it’s National Beer Day. On this day sales of beer became legal again when the Cullen-Harrison Act went into effect. That happened on April 7, 1933. 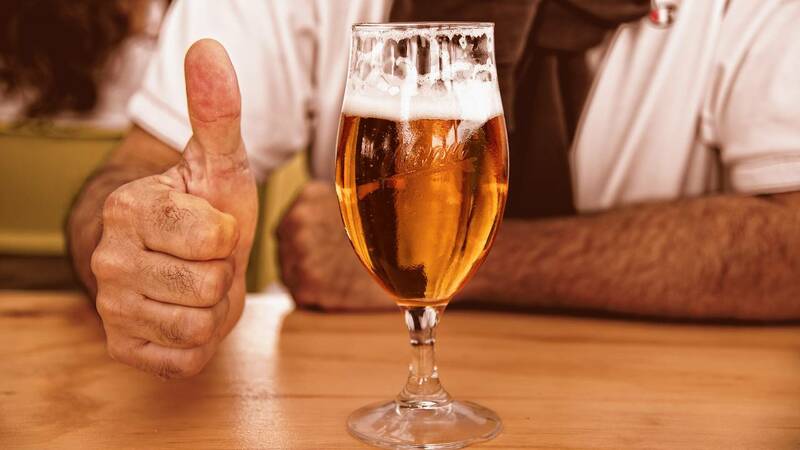 It allowed people to buy, sell and drink beer again for the first time in 13 years! When FDR signed that law, he said: "I think this would be a good time for a beer."